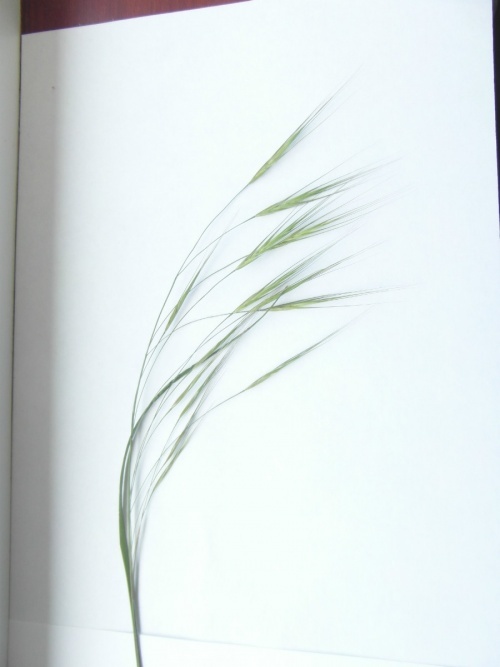 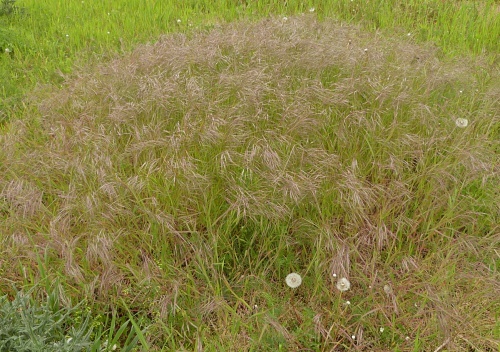 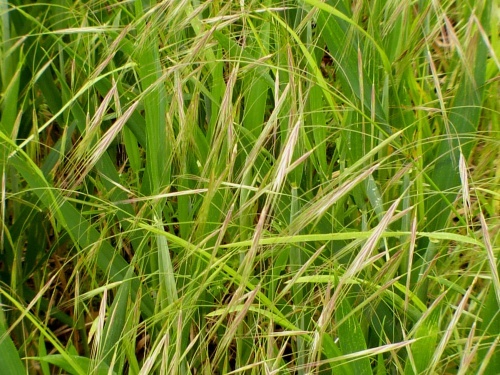 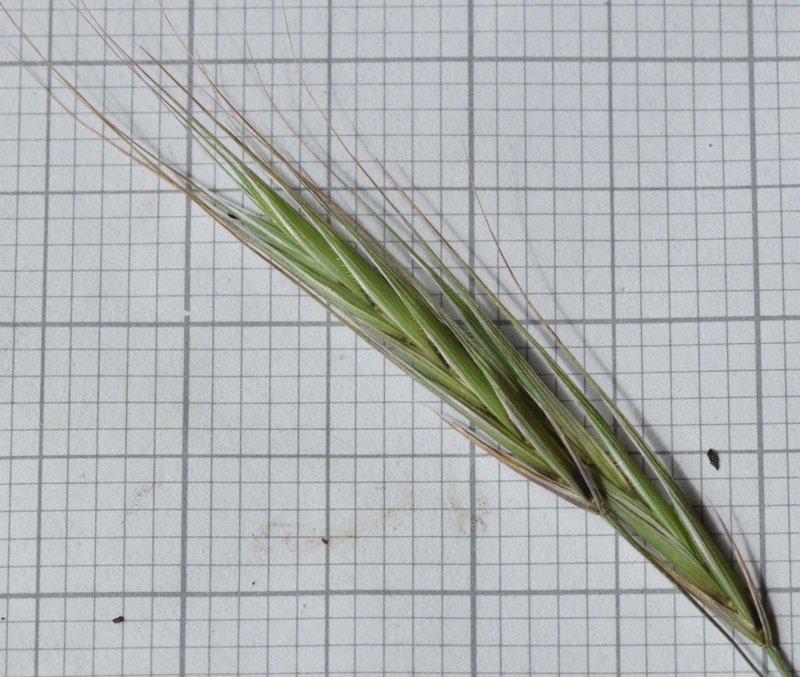 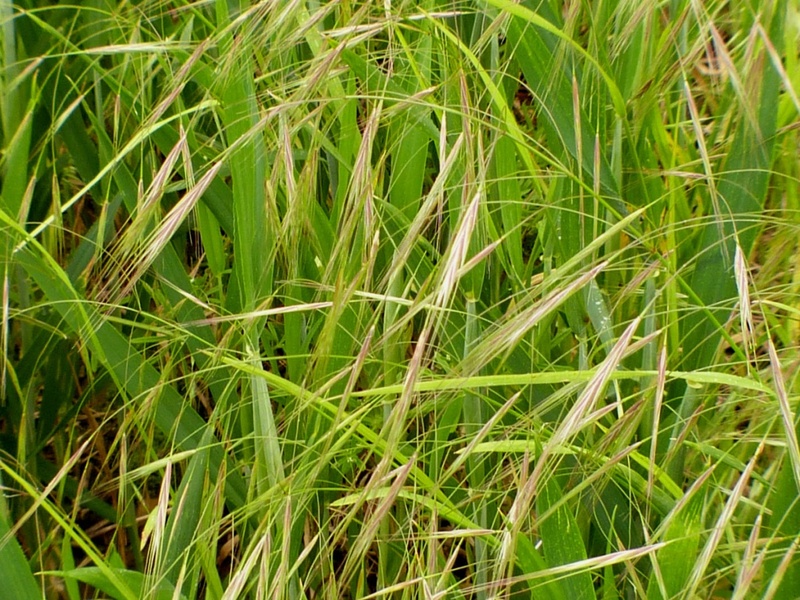 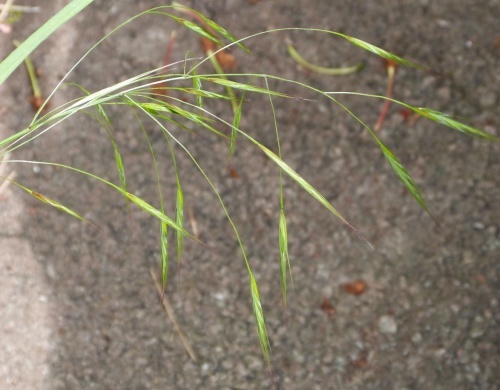 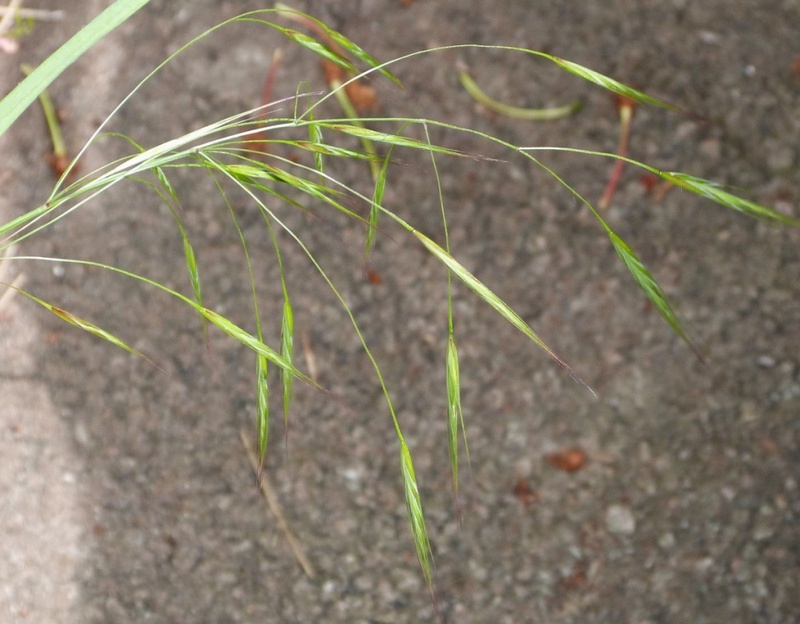 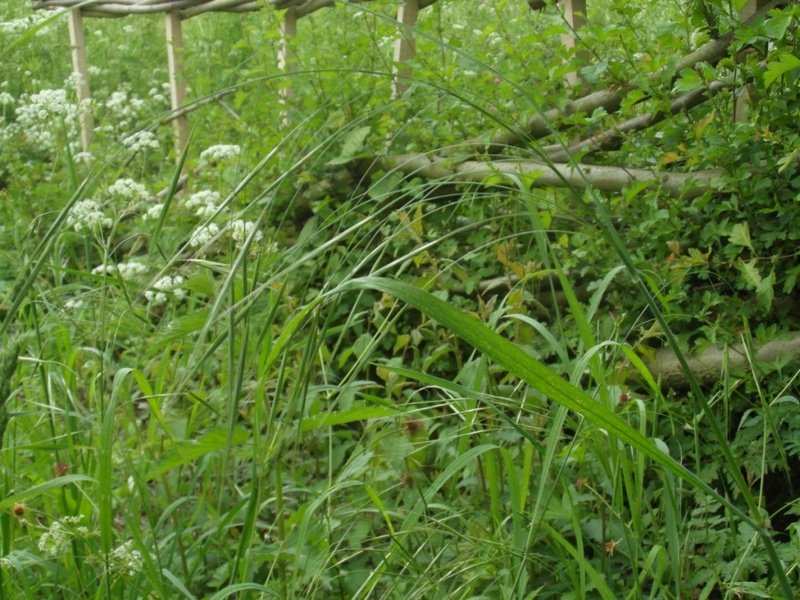 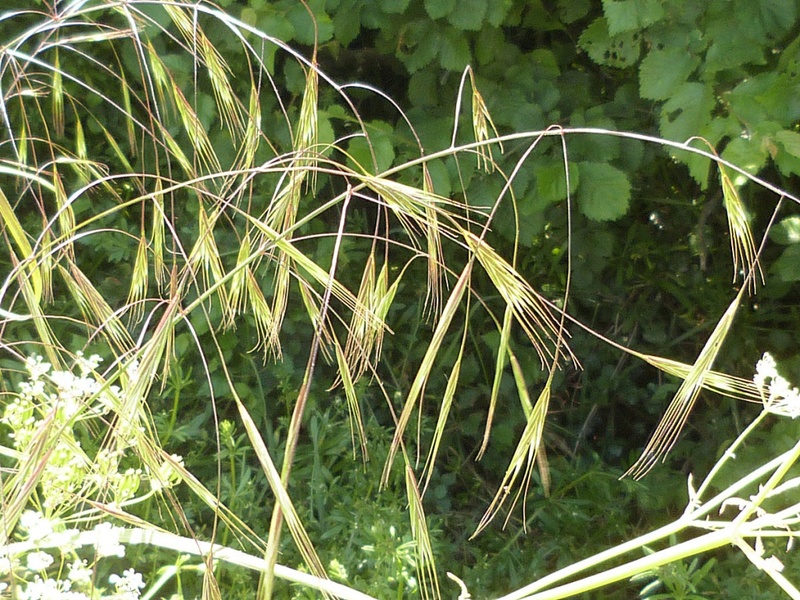 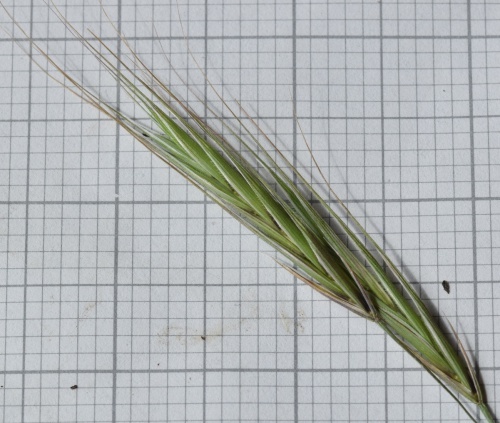 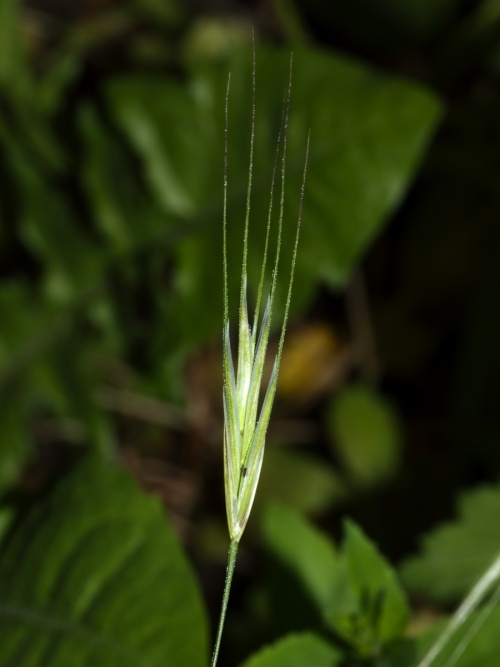 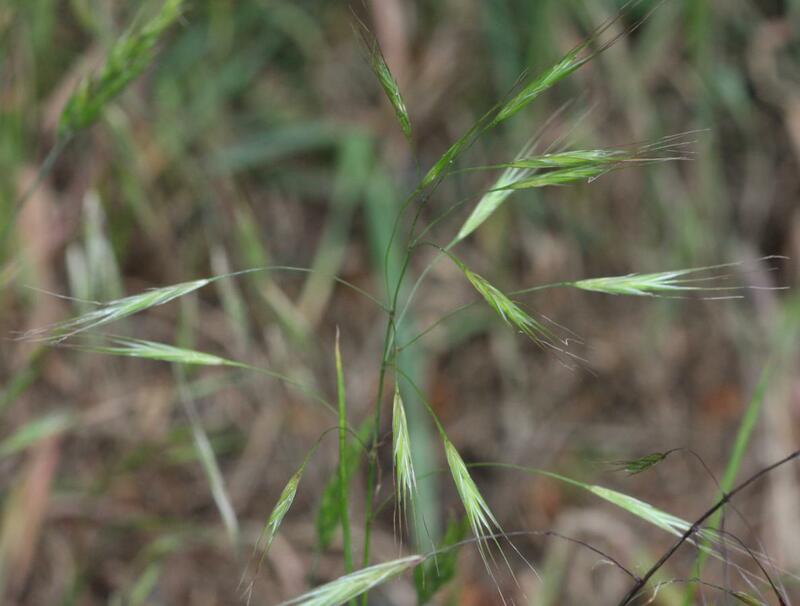 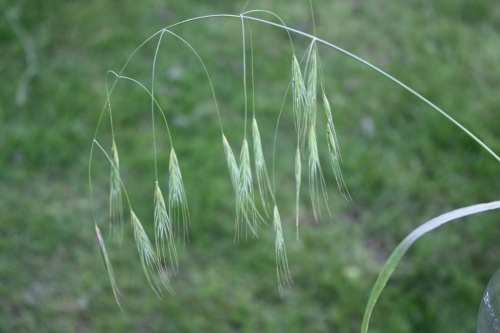 One of the commonest weedy grasses that can reach 80 cm. 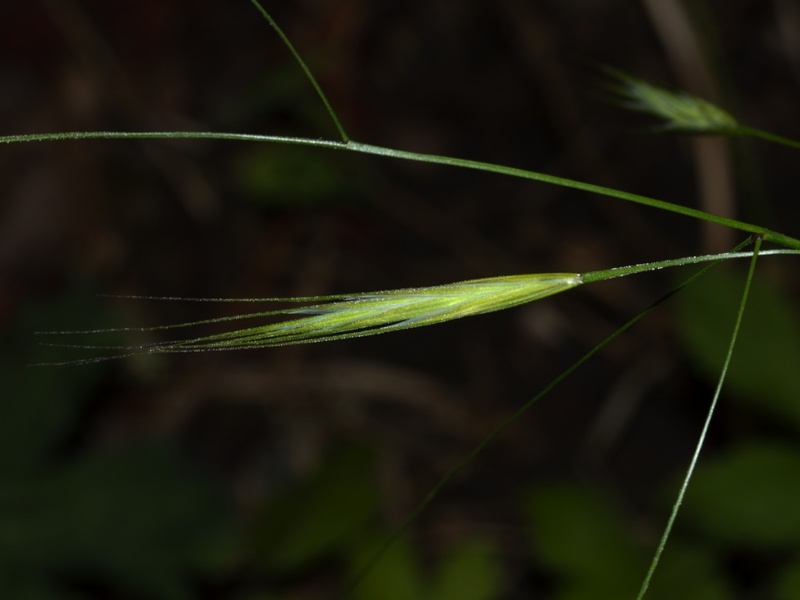 The panicle is very loose and drooping with rough branches which are much longer than their spikelet. 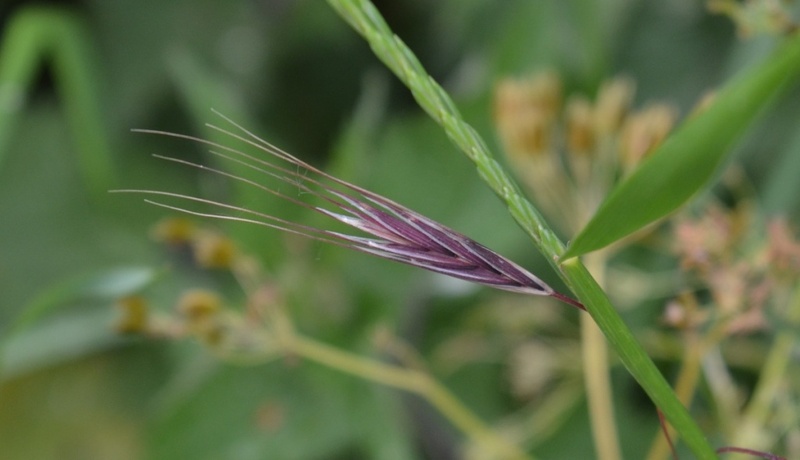 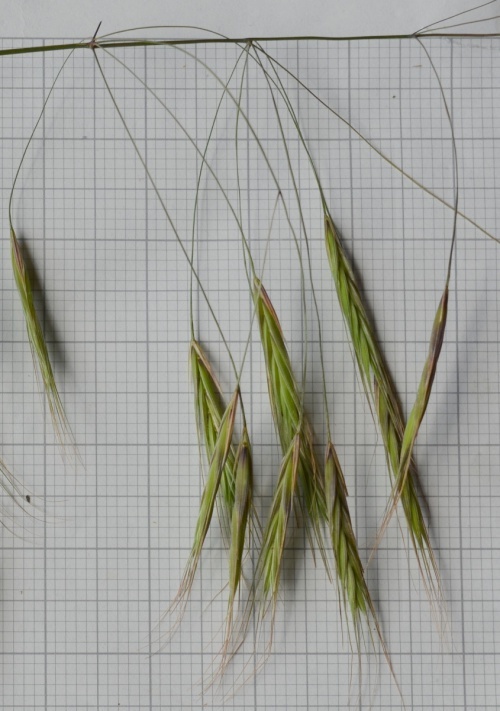 Spikelets are compressed, V shaped with long awns and usually turn purplish when ripe. 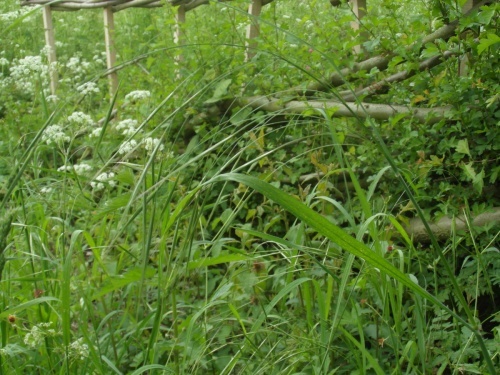 Dry hedgebanks, waste ground and roadsides.